The Washington Apple Commission is preparing for their attendance at this week's Fruit Logistica. 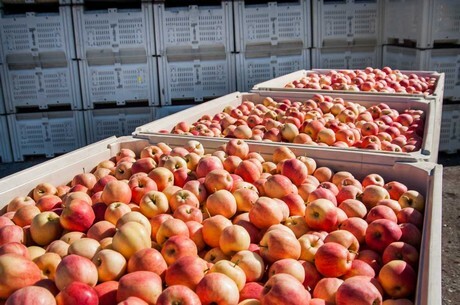 The organization said it is looking forward to showcasing Washington apples to the produce world in Berlin, where a number of representatives from key apple export markets will be attending. The event provides an opportunity for meetings and discussions as well as to show visitors a sampling of Washington's wares. "The Washington Apple Commission will be hosting a booth together with Northwest Cherries and USA Pears," shared Toni Lynn Adams. "Fruit Logistica gives us an opportunity to showcase the many varieties that Washington state grows as well as to meet people from different regions. To facilitate discussions, we have provided a meeting space at the booth." "Our focus is on international markets outside of the domestic sphere," she continued. "Therefore, we are looking forward to making connections with our partners that are present in all regions. It's not just European markets either, with representatives from places like India and the Middle East expected to attend." Adams noted that with one third of the Washington apple crop exported, keeping up to date with the latest global happenings is key to making sure Washington's apples enjoy success. "Washington is present in key markets that will be at Fruit Logistica," Adams said. "And it has become a very diverse group. As an example, India became the second highest export destination for Washington apples last year, for the first time ever." She added that this year's crop is lighter which provides an opportunity for the Commission to highlight other aspects of the apples from this season. "We had a smaller crop this year with 117 Million boxes produced, down from 133 Million last season. However, we are seeing excellent color as well as a good sizing profile. Therefore this year provides us with a chance to highlight the outstanding quality of apples in this year's crop. Although it was a slow start, exports have picked up in the last few weeks and we expect continued good movement for the remainder of the season." Although it's not possible for all of the apple varieties to be on show at Fruit Logistica, the Washington Apple Commission will be bringing one of the new varieties with them for visitors to their booth to try. Cosmic Crisp is not yet available until later this year, but samples will be present at the show this year. "We will have samples of Cosmic Crisp at Fruit Logistica," Adams announced. "Cosmic Crisp is the newest Washington apple variety and was developed by Washington State University. It's a cross between an Enterprise and Honeycrisp and features deep red coloring and a crisp texture. The flavor profile is sweet and juicy with a zing of acidity. The samples we have are from test blocks and Cosmic Crisp from commercial production will be available to consumers beginning next season." The Commission is hoping that they will have the same response at Berlin's Fruit Logistica as they did at Asia Fruit Logistica, as Adams explained. 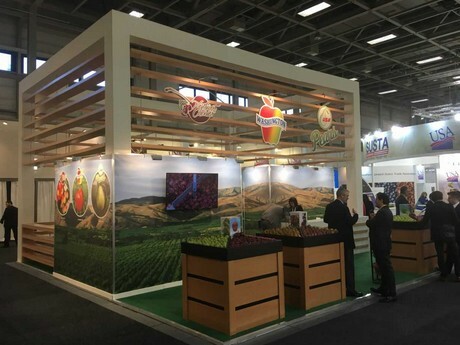 "We also had samples of Cosmic Crisp at Asia Fruit Logistica and it was very well received." "It's a great time of year for apples with good availability on all the major varieties like Red Delicious, Gala, Fuji, Honeycrisp, Granny Smith, Golden Delicious, and many more. Washington has such a diverse range of apple varieties which provides many different options for consumers' varied needs." The Washington Apple Commission will be at Hall 23 A06 at Fruit Logistica.